Darnuzer Engineers Inc. operates as engineering and surveying office in Davos since 1937. 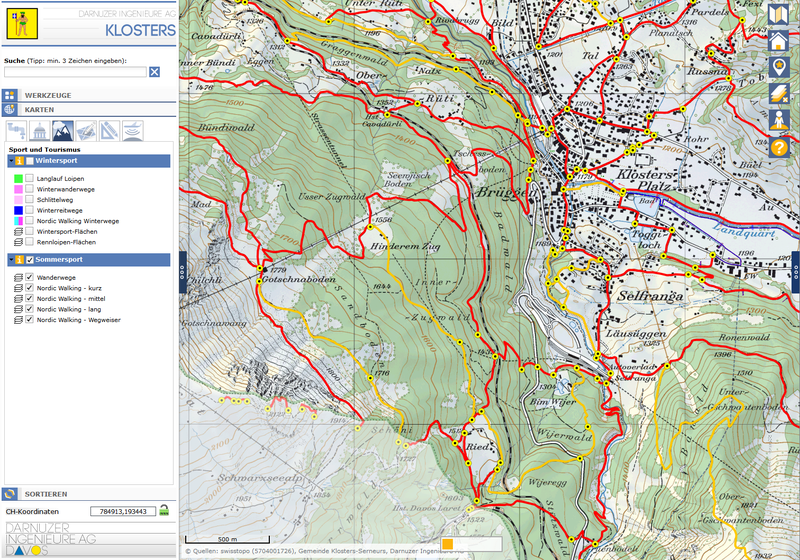 Besides the classic activities they offer a Web GIS solution based on MAP+ to their clients. The applications are hosted at TYDAC but administered independently by employees of Darnuzer Engineers Inc. 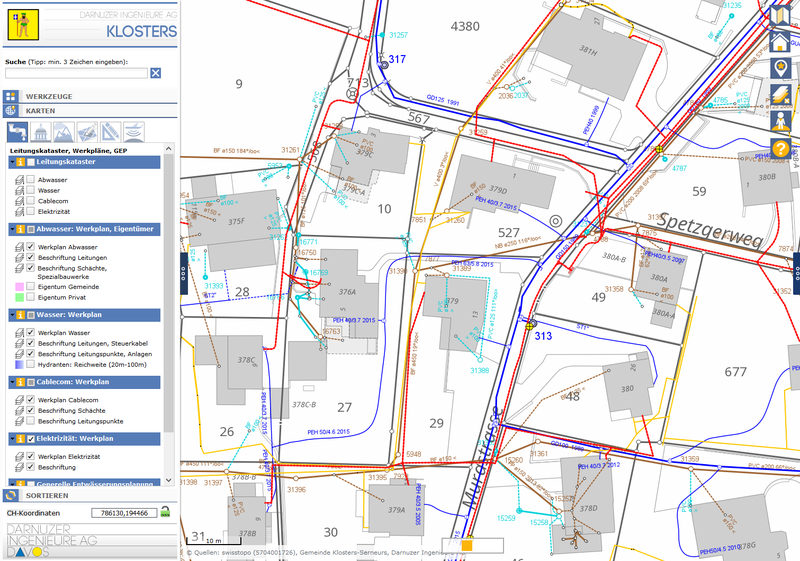 Since more than 10 years we implement Web GIS application for our customer base along with TYDAC as our supplier. Short response times, high availability and flexibility of the applications led to customer satisfaction among end users and among our employees. Currently switching from Neapoljs to MAP+, we are moving towards the newest technologies and defining and implementing new applications along with our customers. And all of this just editing configuration files, no compiling, no complexity. The commune can access ownership information using the SIX Terravis service (92% of the parcels are covered). 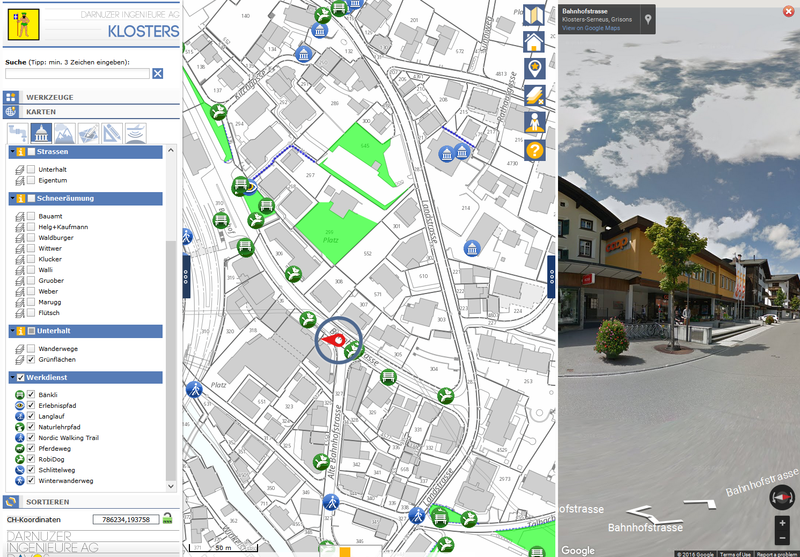 Terravis is the electronic information portal for land registry data in Switzerland. Using a two-way SSL connection ownership is queried directly accessing the land registries of the canton.